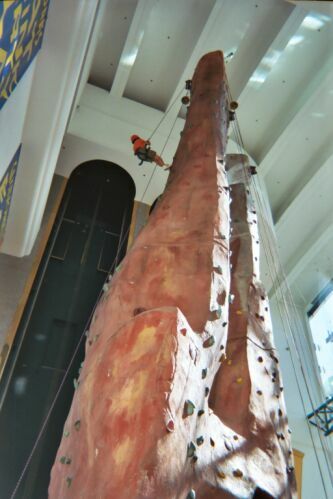 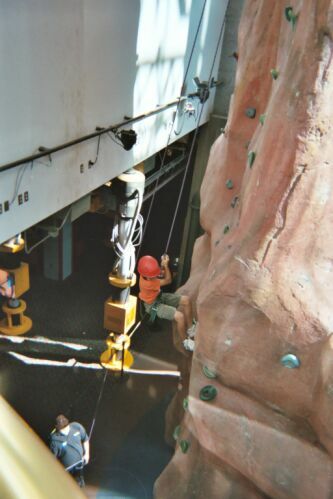 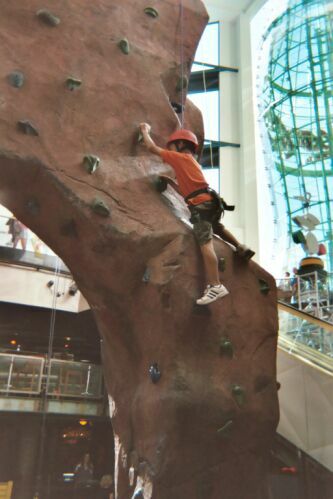 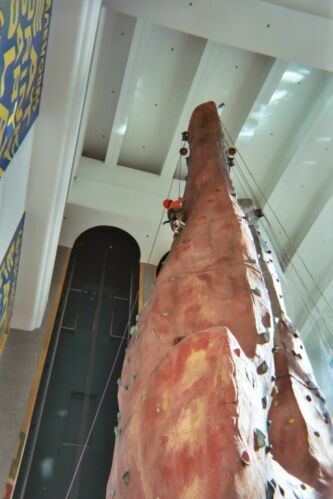 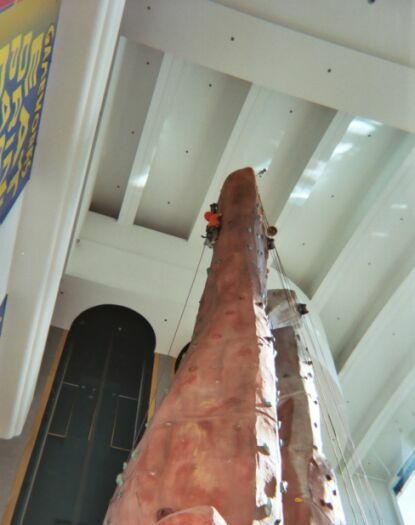 Kevin loves rock climbing and each time we go to Vegas he is looking forward to go to the M&M Center where the center's piece de resistance is a 75-foot-tall rock-climbing structure called "Surge Rock," which is billed as the tallest freestanding climbing wall in the world. 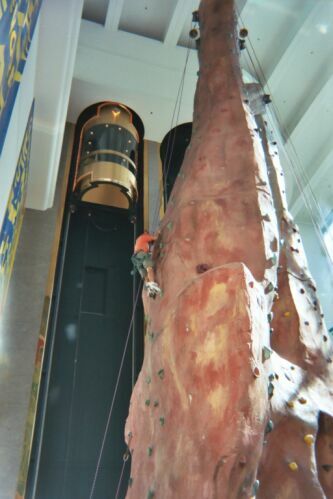 They have different level of difficulty. 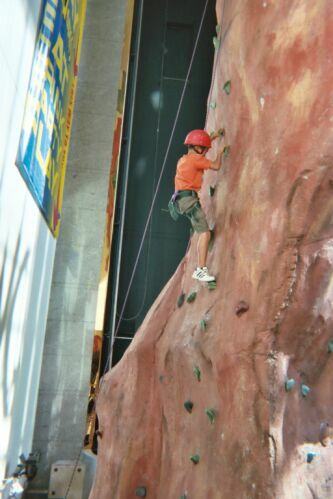 This year Kevin choose the intermediate one and did really well. 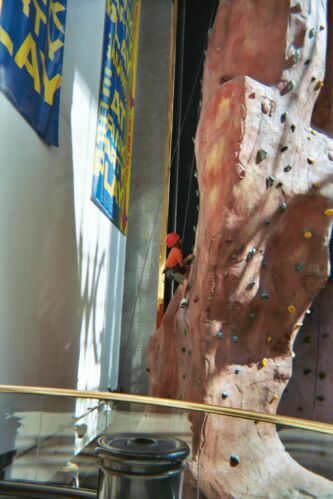 Kevin reached the summit in maybe in a few minutes and rang the bell without difficulty. 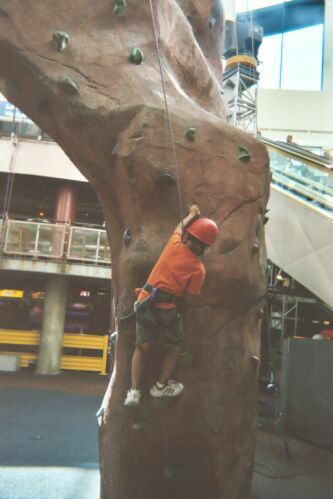 He just make it looks easy..
Before Kevin there were a few kids that could not even make it half way to the top, and they choose entry level difficulty. 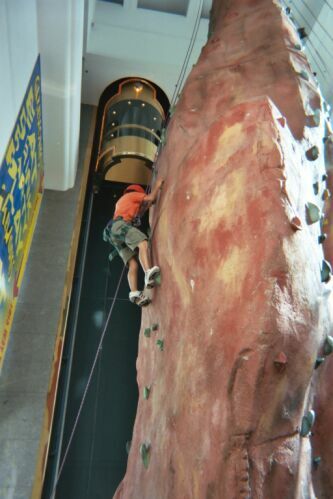 Going Down the rock was also fun.